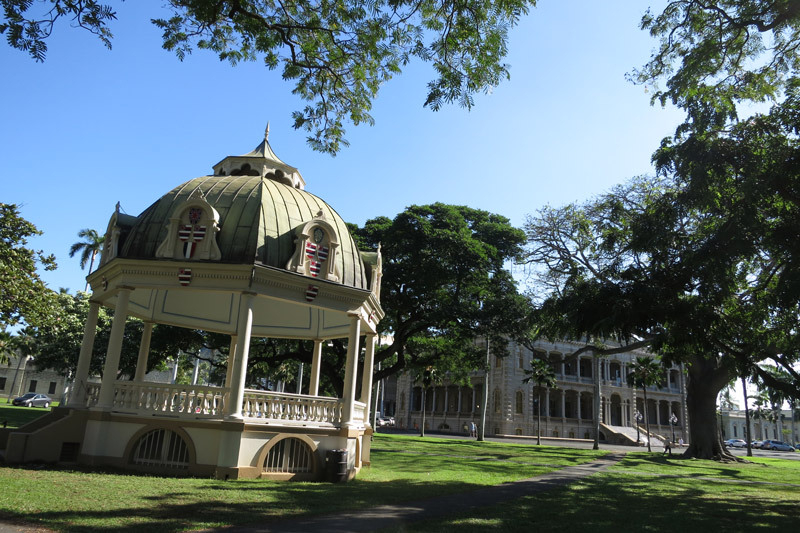 The Coronation Pavilion was built for the coronation of King Kalakaua and Queen Kapiolani on February 12, 1883. The pavilion was later moved from its original site near the King Street steps. 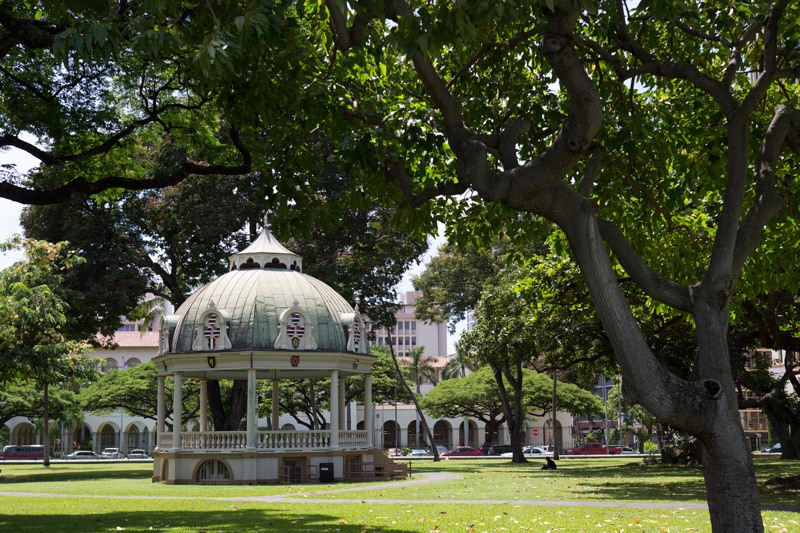 Today, The Royal Hawaiian Band can be seen playing near the Coronation Pavilion and is also used for the inauguration of the Governors of the State of Hawaii.